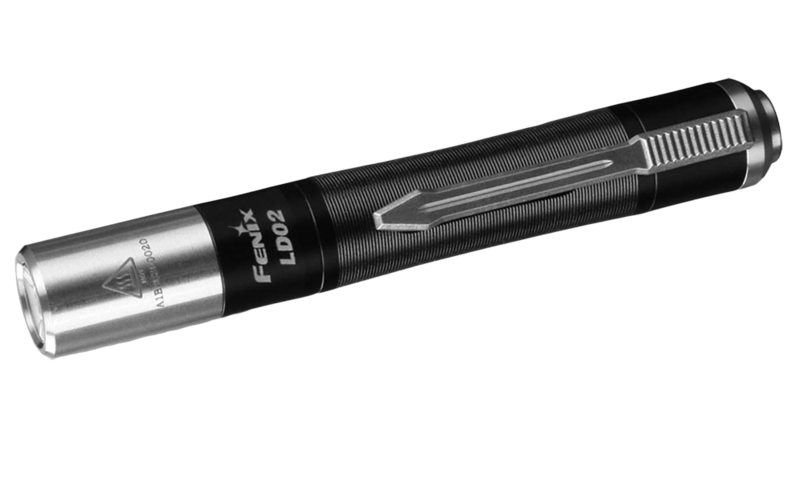 The LD02 V2.0 is a super compact penlight that is perfect for every day carry (EDC). This penlight features three brightness levels of very warm 3000K white light plus a 365nm UV light; both of which are operated by the stainless steel tail switch. 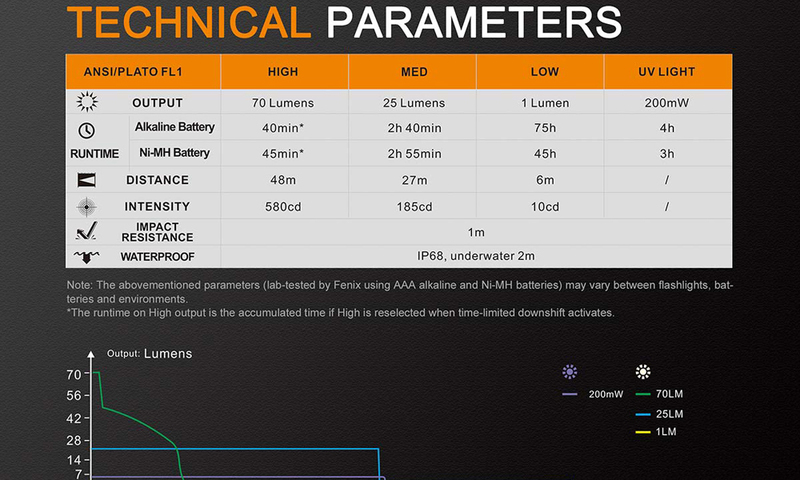 Powered by one included AAA battery, this light delivers a maximum output of 70 lumens. Waterproof and dustproof, the LD02 V2.0 will be your go to penlight for every day lighting needs. Included: Spare O-ring, AAA (Alkaline) Battery.